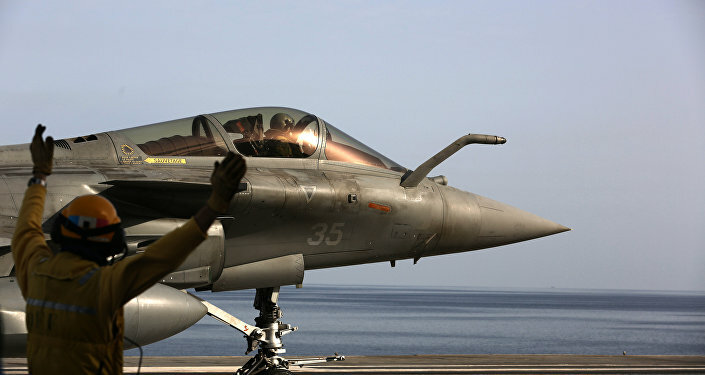 India’s major opposition party the Indian National Congress had alleged there was a major scam in the procurement of 36 Rafale fighter jets from France in 2016 under a government to government deal by the Narendra Modi government. New Delhi (Sputnik) — The Supreme Court of India on Friday dismissed all petitions filed against the $8.7 billion Rafale fighter jet deal concluded with France under government-to-government negotiations in 2016. The Court said that there was no reason to doubt the process through which the Rafale deal was finalised. Chief Justice of India Ranjan Gogoi chairing the three-judge bench said that country could not afford to be unprepared in defence matters, under which the acquisition of fighter aircraft falls, and that it can't sit in the appeal for every matter of such acquisitions. "We find nothing amiss in the Rafale deal and find no evidence of favoritism of any kind," ruled the Supreme Court. Chief Justice Ranjan Gogoi said that the Court could not go into the wisdom of why the deal was made for 36 aircraft and not the original 126 aircraft. "We cannot ask the government to go for 126 aircraft", the Court said. The Court has also cleared the selection of offset partner for the deal, a matter that had come under massive attack from the opposition parties. The opposition parties had claimed that the government had favoured private entities as offset partners in the deal.